Submission. It’s the first thing a writer wants to know about when querying an agent or publisher with a manuscript. What are the submission requirements? How do I submit? And while submitting a short story or a few chapters of a novel is a wonderful and desirable thing to be invited to do, the actual process is not as easy as it sounds. In fact, the submission guidelines for lots of literary agencies refer to a work of writing its author wishes to submit as “a piece”. A very fitting term, I say, for what is about to be exacted is no mere manuscript, but a pound of the writer’s rib-flesh, carved deep from the bone with a dull knife. Pretty twisted stuff. Nevertheless, it goes on in the literary world all the time. Just not nearly so often as many hopeful writers, myself included, would like. If submitting sounds hard to do, that’s because it is. Not only for fiction writers, but for saner folks as well. There’s a certain humility, a lowliness, a bending of the ego required and usually we need some motive for doing it. The writer wants to be published, of course, will nearly grovel to make that happen. But there are lots of other reasons people allow themselves to submit. Employees submit to company policy because they want to keep a salary coming in, further their careers or earn a raise. In the hospital patients submit to tests and treatment because they want to be cured. Teenagers submit to peer opinion because they need to fit in, to know they belong. There are those, too, who submit for reasons of the heart. 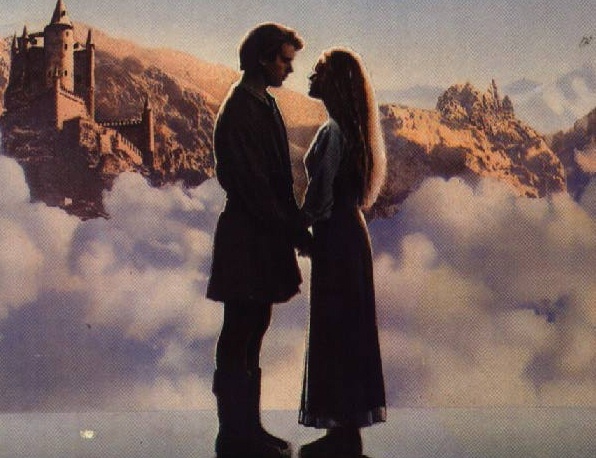 Fans of the movie “The Princess Bride” will recall the scene with Westley and Princess Buttercup in which she gives him several commands in succession, addressing him with the rather humiliating title of “Farm boy”. To each command, Westley replies, “As you wish”. The rest, of course, is cult classic history. Had Westley not answered the way he did, had he handed Buttercup an extend-a-reach tool instead and told her to fetch down her own pitcher, there would be no happy ending. No perfect kiss. But Westley does obey when Buttercup commands and so the story proceeds. The scene of Westley’s compliance is not written into the movie’s screenplay to convey a message of feminine triumph over the weaker male psyche. Not at all. We the viewers immediately understand that there’s something much more important going on between these two characters than dominance and subservience. Westley is being weak on purpose. For the sake of true love. Love, then, is the best reason one can have for bending to the will of another. And it’s the only motive that comes anywhere close to pure. It is love, after all, that motivates the Virgin Mary to submit, to take on the role of being Christ’s mother. Out of adoration for God, pure and simple, she replies to the archangel’s incredible announcement with, “Let it be”. Love is the reason, too, for Christ’s miracle at Cana. There is evidence of this in the command his mother gives just after Christ has told her that his time for working miracles has not yet come:”His mother saith unto the servants, Whatsoever he saith unto you, do it.” Not only does Christ demonstrate filial love by turning the water to wine, Mary seems to know before he does it what his action will be, no doubt because for all his earthly life she’s been loving him. 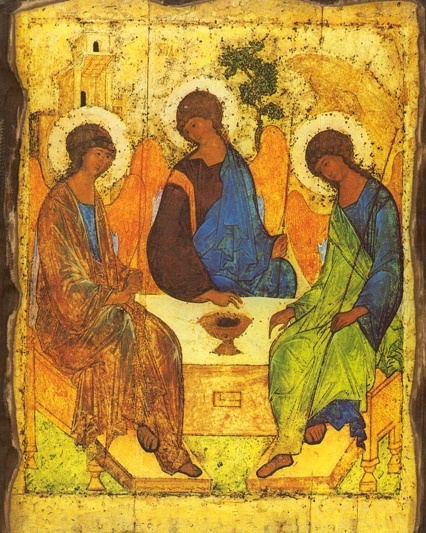 The highest expression of this submission that is love is seen in the relationship between the three persons of the Holy Trinity, most beautifully illustrated in Rublev’s icon. With skill belonging to the other world, Rublev uses color, light and composition to evoke the perfect harmony that exists between Father, Son and Holy Spirit. Taken from the Old Testament story of the hospitality of Abraham, the three angels are shown, each with head inclined to another, seated in an intimate circle around a table on which sits a single vessel. Thank you! We’re encouraged by your comment!